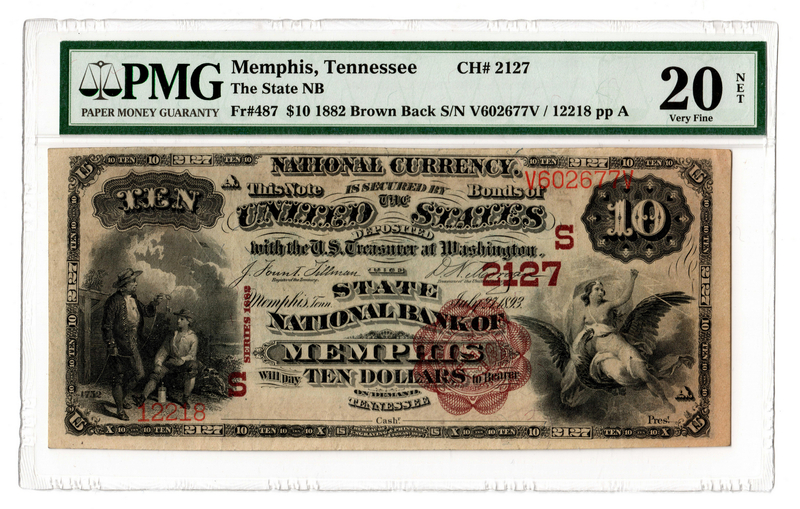 $10 "Brown Back" bank note dated 1882 from the State National Bank of Memphis, Tennessee, depicting a vignette of Benjamin Franklin conducting the kite experiment with his son William, June 1752, left, with a vignette of America seizing lighting from the skies, right. First Issue. Serial # V602677V/12218 pp A. CH # 2127. FR # 487. 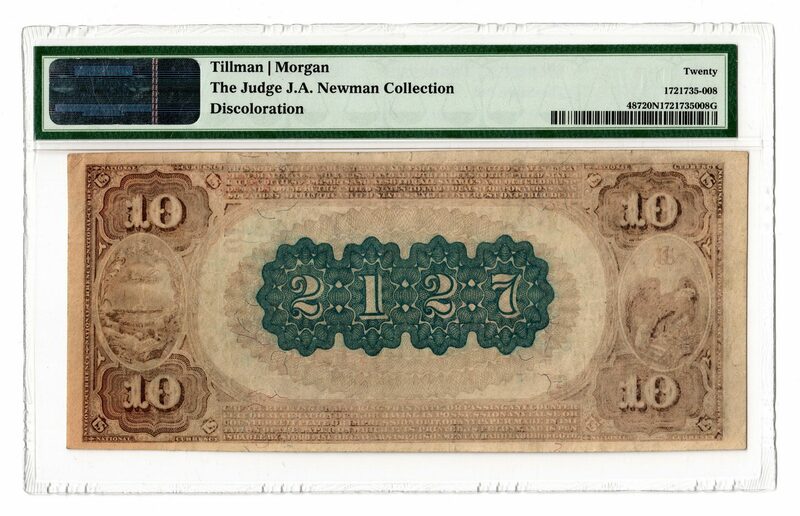 Tillman/Morgan signatures. PMG graded 20/Very Fine. Provenance: the collection of the late James A. Newman (Nashville, TN, 1892-1964). CONDITION: PMG graded 20/Very Fine. Minor discoloration.